Looking for a Dose of Innovation to Move Your Product Forward? It’s easy to get stuck in a rut coming up with new, profitable ideas and solutions. 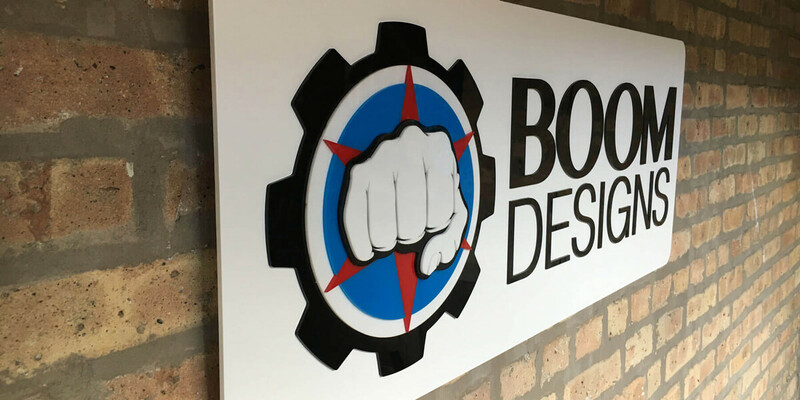 If internal brainstorming sessions aren’t providing the results you want, BOOM Designs is here to help. Whether you’re in need of an outside perspective, detailed guidance, or just some fresh ideas about your product or service, BOOM’s Innovation Sessions will provide you with just that. You’ll meet with our professional team of design experts for a brainstorming session that’s all about your product needs and business solutions. Founder and Principal Designer at BOOM, Ross Bartels, runs many of our innovation sessions. He incorporates a diverse team of people with varied backgrounds to ensure that every aspect of your product gets reviewed. SALES | Identify the Strengths, Weaknesses, Opportunities, and Threats (SWOT) of your competition. MARKETING | The ‘sweet spot’ in the today’s market through analyzing your competition and your customer responses and reviews. CHANNEL STRATEGY | How you are getting your product into consumers’ hands and how you are communicating the key features. DESIGN | Let’s create some innovative products and match with key consumer insights! PRODUCTION | Everything from advertising to vendor selection. ENGINEERING | Solutions around mechanical function and manufacturing. LAUNCH | Executing and Measuring Success. No matter what stage you’re at in the product development process, our focused time together will help you move your product to the next level. We’ve worked with people in every stage of production whether it’s research, design, development or launch. If you’ve already launched your product, we’ll help you evaluate if what you’re doing is working and discover areas of opportunity. We’ll give you critical and candid feedback about what you’ve already accomplished, what you’re currently doing and what the next steps are in your product journey. We’ll gather information from you before our session even begins so that we can come prepared and jump right into a productive session that drives results. No need to waste time getting us up to speed. BOOM Designs Innovation Sessions run anywhere from a few hours to a few days depending on your needs. During our session, we won’t just come up with a bunch of great ideas; we’ll formulate a concrete action-plan you can implement right away. Whether you need to improve your design, grow your production, do more work in the discovery phase, or build on your existing product, we’ll work together to come up with action steps to help you accomplish your goals. We document every innovation session, so you’ll be able to go back and review the concepts and solutions we talked about and flesh out some of the smaller details with your team. No wasting time taking notes during the session, we’ll send you a recap of the session as soon as it’s complete along with a results-driven, strategic course of action. Brainstorming doesn’t have to be a drag. We like to create a fun and judgment-free space where everyone’s creative juices can flow. You’ll never have to worry about criticism or negativity during our sessions. We believe that doubt kills creativity and that a productive environment is a fun environment. Our brainstorming leaders operate under the principle that no idea is a bad idea and have been trained to lead successful brainstorms. We have experience creating fresh environments that embrace everyone’s rich ideas and thought process. Let’s work together to stimulate thinking, question assumptions, discover insights and get your product moving. It’s time to innovate like you never have before. We’re ready when you are.